We are in the midst of a revolution-a digital transformation driven by what many believe could be the most powerful decentralizing force since the rise of the Internet: Blockchain. It is difficult to overstate the potential impact of this technology and its applications. Much as the double-entry system of accounting-first codified by Luca Pacioli, the “father of accounting”-laid the groundwork for the rise of capitalism and, it has been argued, even modern nation-states, blockchain carries the capacity to create a “World Wide Ledger” that could record the exchange and providence of virtually everything of value. It promises to allow far-flung parties to engage in e-commerce without the necessity of a financial intermediary and to usher in an era of true globalization. In a nutshell, blockchain provides the infrastructure to replace the middleman-in nearly any area of application-with a decentralized web of users. In that respect, it is a democratizing force. It is, as The Economist once dubbed it, a “Trust Machine,” allowing “people who have no particular confidence in each other [to] collaborate without having to go through a neutral central authority [known as a ‘trusted intermediary’]” to validate and record their transaction. The regulatory implications for such a shift could be profound. Blockchain is, however, not without its detractors. Some have noted the seemingly irrational hype behind the technology. They have questioned its true value, casting it as a solution in search of a problem. Blockchain, as they see it, is an answer to a problem that none of us realized we even had: that of the trusted intermediary. But, of course, many saw no need for the Internet back in 1993 either. One can hardly discuss blockchain without reference to its first and most famous application: Bitcoin. Bitcoin is built on an underlying blockchain structure. In fact, Bitcoin, the world’s largest cryptocurrency by market capitalization, is, itself, a more popular, well-recognized phenomenon than blockchain. Its meteoric rise in the closing months of 2017-as the price of Bitcoin rose over 1,600 percent to nearly $20,000, then fell, then rose again-was an absolutely remarkable feat that demonstrates both the promise and the risks inherent in the technology. It is nothing short of remarkable that in the mere nine years since Satoshi Nakamoto-the shadowy and likely pseudonymous founder of Bitcoin-first released the Bitcoin “Genesis Block,” a respectable number of people have (right or wrong) come to view Bitcoin as a viable alternative to fiat currency. Bitcoin, through the blockchain platform, solved decades-old theoretical conundrums such as the double-spending problem and the curiously named Byzantine Generals Problem, creating for the first time a viable digital currency and, in the process, shining a light on the potential of blockchain. With markets and financial institutions taking notice, it should come as no surprise that regulators are increasingly focused on the impact of Bitcoin and blockchain technology as well. Fundamentally, a blockchain is a type of database-a chronological ledger of transactions recorded by a network of computers. A copy of the blockchain is saved on each computer in the network, so there is no need for a centralized administrator. The system is, in other words, “decentralized,” and therefore often referred to as a shared, distributed digital ledger. A blockchain structure does not require a “trusted” third party to serve as an intermediary or clearinghouse in order to validate a transaction. This is a key aspect of its popularity. In our modern economy, banks typically play the role of trusted intermediary with respect to non-cash electronic transactions. Banks validate transactions and keep a centralized ledger that parties rely upon to ensure a proper accounting and to guard against double spending of currency, a problem that could otherwise give rise to runaway inflation. Blockchain, however, provides a mechanism that allows two parties that do not know or trust each other to directly engage in a transaction (i.e., on a peer-to-peer basis) without the need for a bank. It is, therefore, referred to as a “trustless” system. Blockchain accomplishes this through the power of a distributed network. Each computer, or “node,” on the network has the ability to send and verify transactions on the blockchain. Virtually any computer with an internet connection can become a node (on a public blockchain, at least). A blockchain operates through a protocol-a set of rules that determine when the network nodes will be deemed to have reached a “consensus” that a transaction should be recognized as valid and recorded on the blockchain. For instance, Bitcoin’s protocol provides for a proof-of-work system, known as “mining,” that essentially recognizes a block when more than half of the computing power on the network agrees that it is valid and satisfies the consensus protocol. Once there is consensus that a set of transactions should be recognized, a block of information recording the transactions is appended onto prior blocks, extending the “blockchain.” Notably, blocks of information cannot be deleted from the blockchain, only added; it is, in other words, an “append-only” system, which is one of the key security features of a blockchain. Bitcoin-the most well-known application of blockchain technology-was first introduced in 2009 against the backdrop of a global financial crisis that many consider to have been the worst since the Great Depression. The subprime mortgage crash that sparked the economic crisis led to a backlash against financial intermediaries and a push for alternatives to traditional banking and financial systems. Bitcoin promised a mechanism that did not require a traditional “trusted” intermediary to conduct electronic transactions. Its timing on the scene could not have been better. Bitcoins are “created” by miners-nodes on the network that engage in a rigorous process to validate transactions by producing a “proof of work” that, once accepted, results in the release of a predetermined amount of Bitcoin to the miner as an incentive to perform the computational process necessary to create the proof of work. The mining process is technical and complicated. It involves the application of complex mathematical computations and cryptographic hash functions to produce “hashes,” a seemingly random alphanumeric strand, to ensure the validity of the blockchain. The mining process is exceedingly hard to perform, but relatively easy to verify. It can essentially only be performed through trial and error, which means that it requires a large amount of computational power. The Bitcoin system periodically adjusts the level of difficulty to successfully perform the “mining” function, thereby regulating the supply of Bitcoin. Designed to mimic the supply of valuable commodities like gold, the system is capped at 21 million Bitcoin, and the last Bitcoin is estimated to be released in 2140. Despite its current popularity, Bitcoin has had to overcome a sordid past. The relative anonymity that it offers made it the medium of choice on the infamous Silk Road website, a black market site founded by the self-styled Dread Private Roberts that utilized the TOR network (a secure and virtually anonymous browser originally developed by the Navy) and facilitated everything from the illicit sale of drugs to murder-for-hire. Bitcoin’s reputation was also tainted by the Mt. Gox scandal, when the world’s largest Bitcoin exchange was hacked and hundreds of millions of dollars in Bitcoin were stolen. And, of course, there are stories of small Bitcoin fortunes evaporating overnight with lost passwords and hard drives. Nonetheless, the technology has overcome this past, and is now vying for mainstream acceptance. Blockchain’s potential uses are numerous. Bitcoin’s popularity has demonstrated that blockchain is a viable, if not revolutionary, platform for economic transactions, banking, payment processing and investing. But that is just the beginning. A blockchain-based platform could, for example, provide the infrastructure for a real estate recording system, allowing the recording, tracking, and transfer of deeds, and providing the ability to perform title searches more efficiently. Just this past year, the first Bitcoin-based home purchase closed in Texas. A blockchain platform may particularly lend itself to intellectual property rights, as many have recognized that it would allow for an IP registry that could track and catalogue rights and provide an accessible database for owners, licensees, and users. 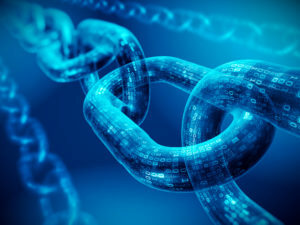 Blockchain also holds promise for the energy sector, as a number of startups have begun using blockchain technology to create peer-to-peer markets for the purchase and sale of energy. Blockchain could provide the healthcare sector, as well, with an alternative way to manage patient medical data that is less susceptible to privacy breaches. Blockchain code could even allow for e-voting, calling to mind a scenario where voters one day cast their vote for president from their smartphones or home computers. It could also perform the essential functions of a notary, timestamping and validating data and transactions through its decentralized network. The possibilities, it seems, may only be limited by creativity and ingenuity. The Bitcoin and blockchain regulatory landscape remains an evolving one. There is no central regulator of the technology; instead, a regulatory patchwork has emerged at both the state and federal level, and regulators do not necessarily classify the technology consistently. For example, for tax purposes, the IRS currently treats Bitcoin as property rather than currency. Thus, taxpayers are taxed on the receipt of Bitcoin and recognize a gain or loss on its sale. The IRS has shown increasing interest in the taxation of virtual currency transactions, recently prevailing on a year-long effort to enforce a summons on Coinbase, a virtual currency exchange, requiring it to produce customer data on thousands of Bitcoin account holders. According to IRS court filings, during 2015, a mere 800 to 900 taxpayers reported gains related to Bitcoin. The Service is seeking to crack down on unreported Bitcoin transactions. The Financial Crimes Enforcement Network (“FinCEN”), a sister bureau of the Department of Treasury, also polices Bitcoin and other cryptocurrencies. Currently, those who fall under FinCEN’s definition of “exchangers” and “administrators” of cryptocurrency are treated as “money service businesses” subject to a regulatory regime under the Bank Secrecy Act that governs currency reporting and anti-money laundering. States such as New York, through its so-called BitLicense, have also adopted their own comprehensive regulatory regimes that cover similar ground. Texas, for its part, has taken a more laissez faire approach, although certain virtual currency activities may fall under a regulatory regime that is overseen by the Texas Department of Banking. The Securities & Exchange Commission has become increasingly active in the Bitcoin realm. The SEC has selectively brought enforcement actions against cryptocurrency-related investment schemes. In recent months, the SEC has taken particular steps to crack down on several attempts to raise money through Initial Coin Offerings (“ICOs”), a fundraising mechanism that generally consists of an offering of a new cryptocurrency or virtual token in exchange for Bitcoin or other virtual currencies. The SEC has determined that such token investment opportunities may constitute an “investment contract” and, therefore, a “security” under the federal securities laws. The Commodity Futures Trading Commission (“CFTC”) has also played a role in developing the regulatory landscape. The CFTC has taken the position that virtual currencies are commodities for purposes of the Commodity Exchange Act (“CEA”), thus falling within its regulatory purview as well. The CFTC has rather actively sought to enforce the CEA when it comes to Bitcoin derivatives and exchanges, and along with the IRS, FinCEN, and the SEC, has played a key role in regulatory development. Its announcement in December 2017 that it would allow Bitcoin futures exchange trading set off a steady climb in the price of Bitcoin, demonstrating the impact that government regulations can have on the market. Blockchain may yet prove to be the most revolutionary technology since the Internet. It has certainly shown the potential to be a disruptive force in a number of industries and to reshape social and economic patterns. Some, however, have noted that the hype may overshadow reality, and that blockchain seems to be an answer to a problem that none of us realized we even had. Admittedly, there is more than a kernel of truth behind such sentiments. But it is just as true that many saw no need for the Internet during its infancy. And just because we do not fully understand something or its implications does not mean it will not affect us. Accountants, attorneys, and businesspeople alike should not be lulled into a sense of complacency that blockchain is a phenomenon merely for the future. Indeed, the future has already happened. As published by Jason B. Freeman in Today’s CPA Magazine. With the surfacing of blockchain technology, innovation appears to be not even close to being over, and new processes and systems emerge. We attempt to orchestrate the adoption of a completely decentralized ecosystem by using distributed ledger technologies. It most certainly is a very electrifying time to be getting work done in the blockchain space and while more individuals implement this disruptive technology, it will hopefully allow us to create a far more secure, adequate and open world.